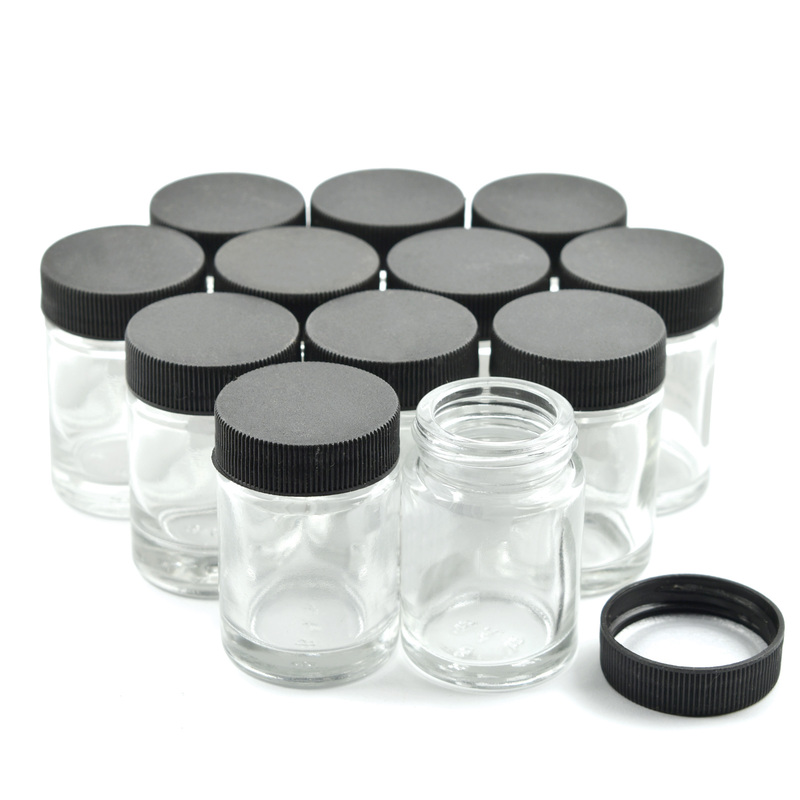 #87693 Box of 12 multi-purpose glass jars with inner-seal lids, 3/4 oz, 33 mm neck. A perfect fit with Badger siphon-feed airbrushes. Also ideal for paint storage.